Offering you a complete choice of products which include animal rider, dog walking ride, brown horse walking animal ride, black horse walking ride, giraffe walking ride and walking animal panda ride. Size 57" X 30" X 36"
With rich industrial experience we and knowledge we are involved in offering an extensive range of Kids Play Riders. 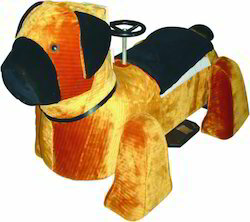 Owing to our countable experience of the industry, we have been able to manufacture supply and export a range ofDog Walking Ride. 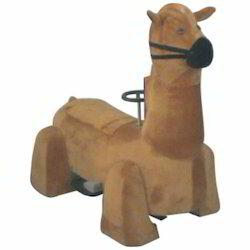 Size 57" x 30" 54"
We are manufacturer of Brown Horse Walking Animal Ride in Ahmedaabd, Gujarat. 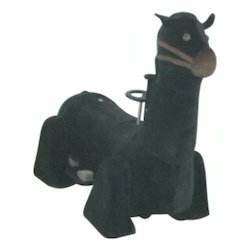 Size 57" x 30" x 54"
We are manufacturer of Black Horse Walking Ride in ahmedabad, Gujarat. 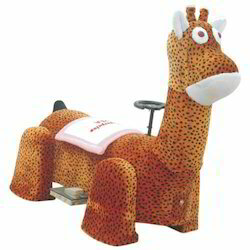 We are one of the leading manufacturers and suppliers of a wide range of best quality kids items, toys and much more and as addition we are offering in this range a wide variety of Giraffe Walking Animal. Customers can avail from us a wide variety of these animals other than the giraffe, that have been made from best quality material. We have used children friendly material that is safe to be used by kids. We offer a high quality Walking Animal Panda to our valuable customers. These products are designed using high quality raw materials that are sourced from reliable vendors. The colorful and trendy pandas are loved by kids. These products are fully tested by experts to ensure that these products are safe to be used by kids. These products are available at standard market prices. 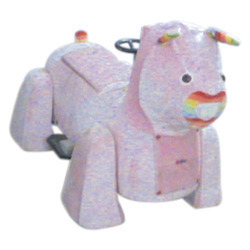 Our firm is a coveted manufacturer and supplier of a wide range of best quality kids equipments and in this range we are offering Panda Walking Animals. Customers can avail this range from us in other variety as well. This animal is widely adored worldwide and we have been supplying this range in the most comprehensive prices. We are the leaders in manufacturing and supplying an extensive qualitative range of Dog Walking Animal Ride. 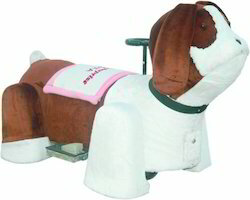 Our given animal rides are used for schools, kinder gardens, parks, amusement places, and so on. The provided animal rides are well designed at our manufacturing unit by using best grade basic material and leading technology in tandem to market norms. Our patrons can benefit these animal rides at affordable rates. 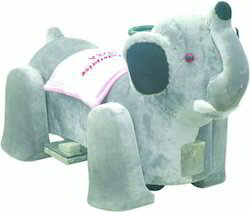 Size 57 " x 30" x 36"
We are manufacturer of Elephant Walking Ride in Ahmedabad, Gujarat. We are involved in offering the wide range of Animal Walking Ride. We are manufacturer of Lion Walking Ride in Ahmedabad, Gujarat. Banking on the individual requirement of the clients, we offer appealing array of Walking Animal Ride that is full of fun and excitement.